I’m writing a series of Mobile Enterprise Magazine articles on effective strategies and processes for implementing mobile workforce apps. I always get more comments and insights from interviews than I can use so I’m going to give you some of those interview outtakes. Warren Engard, Dir – Distribution Operations at Dunkin’ Donuts, (picking system and warehouse management app using voice recognition, Voxware wearable computers). Here are their thoughts on several key issues. Engard: We put a team together with heads of each department – the General Manager, Accounting, Traffic, HR and IT. Operations really drove our project. We documented everyone’s operational and data needs, then put together a RFP. For a lot of companies IT seems to be at the forefront making decisions for other departments. Operations get compromised and end up taking a back seat which creates challenges. But you need a partnership. Operations needs applications to function a certain way so we run our business the way it needs to run, and IT needs to support this. Kovash: Geography is something we had to grapple with. Rather than restrict users to one device or carrier, we needed to come out with a compatibility testing process so that whatever solution was tested had to work with different carriers. People from corporate and regional offices form a team and each has responsibilities. For example, the local site has to determine technology viability within their region So the people in the pilot project did local testing to prove that the application works, then bounce their findings up to corporate. Lentro: We wanted to be sure everyone would be able to use it. Worked with our tech training manager and he advised on which were the least tech savvy. We picked the tech that we felt would be most likely to fail. This person didn’t know a computer from a hole in the wall, and was most resistant to technology, a pure technophobe. There were a couple of others with better skills and we gave all of them test phones. After we were satisfied with results we then gave the entire branch devices. Getting the best results from the pilot? Lentro: One of the things was that if people don’t use the application, you’re dead in the water. So we did a lot of explaining. Once we got users to buy into automation, we had to be sure we could measure results. We focused on the productivity of the technician. Whenever the tech would press button to say ‘I’m en route to next stop,’ we would get a GPS signal and timestamp that went back to our database. We were able to track travel time, time at each stop and so forth, and measure this against performance without the application. Kovash: We’ve learned the hard way how important it is to make it easy for respondents to share feedback with you. Surveys by themselves aren’t good. If IT staff can’t be in truck with users, then business-side project leaders need to be in the truck. You have to plan this into the project. Someone has to go to meetings. When I was doing a laptop trial, we picked some users to cycle through the devices we were considering. I brought people together and said ‘this is feedback I’ll be measuring, these are the type of questions I’ll ask, and here’s the section where you can put information that I didn’t think of. I won’t be offended by your comments.’ On a weekly basis, if I didn’t get e-mail, I would contact them to ask pointed questions. I summarized results at the end, then brought everyone together to see if my assessment was accurate. After moderating a panel before CTIA that included some folks involved with Sony Ericson’s new Xperia device, and reading the latest Android hype, I wonder how organizations are preparing for the TCO challenge of convergence – and how badly will the C-Brigade (CEO, COO, etc) undermine those efforts? device) for business tasks and a portable DVD player or game console for those times you get to ignore the world? Converge everything into one super handheld device, right? But what does this do for the average organization? It’s rough enough trying to control the costs to implement and manage mobile apps along with a slew of true business devices. Now organizations have to gird themselves for a convergence onslaught, the Attack of the iPhone Killers. Devices with more features and add-ons than you can shake a USB port at. Here are a few recommendations to try to keep total cost of ownership (TCO) in check. Look under the covers early. Vendors’ marketing mavens are convincing your execs and workers they MUST have the new [fill in the blank] device. “Use it at play, use it at work! Hype, hype, buy, buy! !” And of course, once they’ve bought or received one as a gift, the proud new owners will bring these devices to work. Next time you run to the store to buy headache relief, grab the Device of the Month to determine – and prepare for – the effect of several hundred of these banging on the VPN door. You may have a “we only support X” policy, but in reality, if a converged device reaches iPhone popularity, it’ll be like having tribbles on Star Trek’s Enterprise. 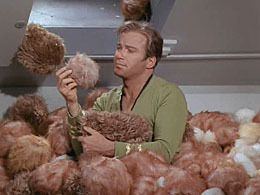 (click if you don’t know the trouble with tribbles). Plan now, save TCO later. Employees responding to direct marketing can circumvent your purchasing process, making accounting and reimbursement more difficult. People may get devices through carriers the organization doesn’t support. Picture taking and video capture capabilities put company secrets and employees’ privacy at risk. 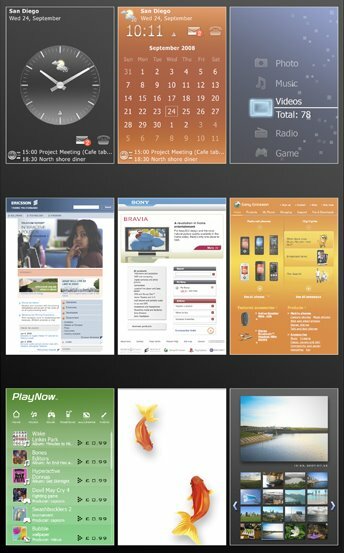 Devices may not use the operating system IT supports. Devices may not be able to support business apps beyond e-mail and contact management. Address these and other issues with the vendor, as well as learn their product roadmap of future features. The C-brigade and business unit managers who are supposed to be IT’s partners in implementing mobile tech strategies can actually undermine the organization’s best interests. They see a converged devices, swoon and before you know it, buy them for the entire management team with no thought to data security, IT support or business strategy. Though a touchy tactic politically, convene the management team and explain why it’s bad for the organization to independently purchase devices that haven’t been vetted for enterprise use. Otherwise, once management buys into the hype and start using a device, it’s hard to execute a mobile business strategy if you later discover the device doesn’t meet your needs. Converged devices are extremely personal and breed a strong attachment from their users, mainly because they store personal data, and users keep the devices on their person. This me-my-mine mindset feeds into increased feelings of us-vs-them among middle managers and workers towards the company in these hard economic times. This makes it difficult to keep folks from buying devices heavily marketed with the “me” focus, or to get people to follow network and security policies. How will you tackle this? T-mobile says they’re receiving so many pre-orders they have to increase production of the new GI device. It’s a safe bet many of these G1s will find their way into organizations that have done zero needs analysis to determine how, or if, these devices should be part of the business operation. If you have a mobile business strategy plan, determine how these new converged devices fit the plan. If you’re still trying to determine what your plan is, get out there among mobile execs and regular workers to learn what mobile tech will help the organization save money, make money or operate more effectively. You may discover that these devices should have a role in your business. But if they don’t, the needs analysis results help you better fend off the next digital device rock star.